Chris Brown has allegedly reunited with ex-girlfriend Karrueche Tran. The Loyal singer has had an on-off relationship with the model for a number of years. Despite the 27-year-old calling time on their romance earlier this year when she discovered that Chris had had a baby girl with another woman, the pair reportedly reunited over the weekend on a low key date. Karrueche said enough was enough when she found out about the 26-year-old's daughter Royalty in March. 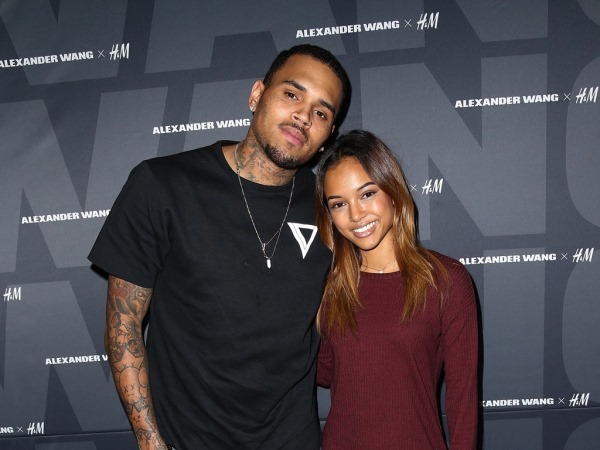 Chris had the little girl with a friend called Nia Gonzalez, who had reportedly partied with Karrueche in the past. But despite her insistence that they were finished for good, the beauty hinted recently that reconciliation may not be out of the question after all. “Us getting back together…I can’t say. I don’t know what the future holds,” she told Ryan Seacrest's radio show. According to the Hollywood Life source, Karrueche hasn't been able to find a man who can compare to her famous ex. And it seems she hasn't been able to resist the singer's charms.